Today through Sunday Frazer, of Eagle Creek, and Tom “Pale Wolf Brunelle” Rickman of Sublimity, friends for almost two decades, will shed their workaday names and identities like prairie rattlers shedding their skins and step into their alter egos. 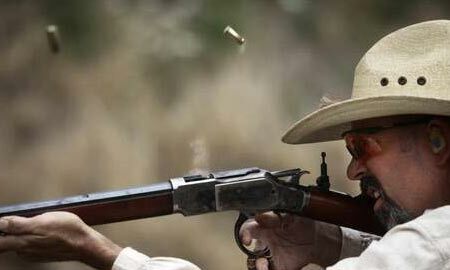 Along with the likes of “Buckshot Shell-E,” “Badlands Bud,” and about 214 other members of the Single Action Shooting Society and about 100 other attendees during the Old West Championship shoot at the Albany Rifle & Pistol Club on Saddle Butte. Previous articleBack in the game….